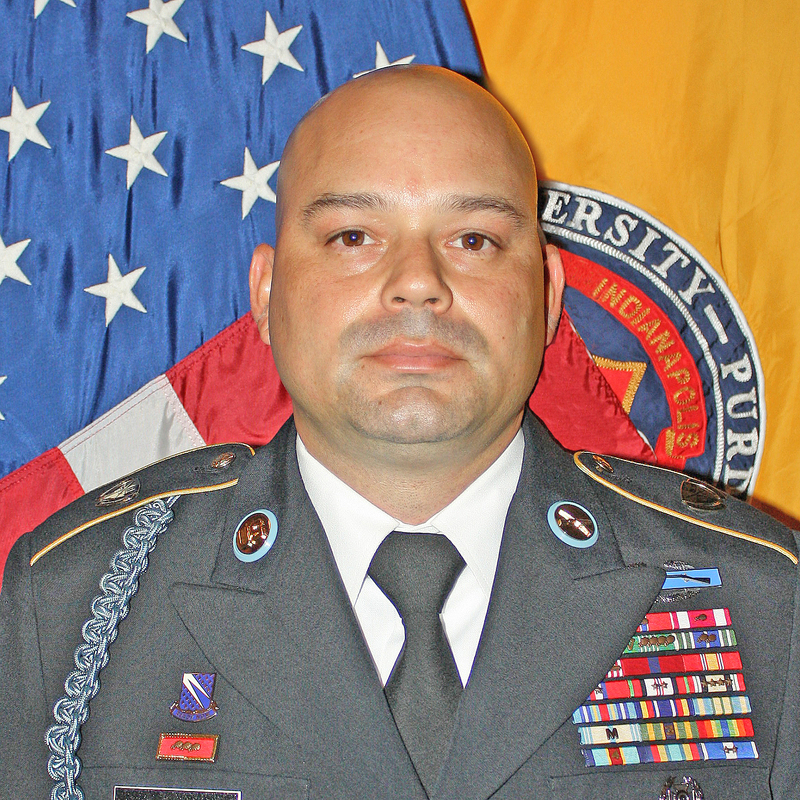 Sergeant First Class Anthony Gillick represents the U.S. Army Cadet Command as an IUPUI military science instructor. His previous service includes both infantry machine gunner in the U.S. Marine Corp and scout sniper with 2nd Battalion, 8th Marines, Camp Lejeune, North Carolina. In addition, Gillick has demonstrated proven leadership as a platoon sergeant in the U.S. Army at Forts Hood and Polk, and as a senior observer controller/trainer in the 162nd Infantry Brigade, Fort Polk, Louisiana. SFC Gillick’s deployments include assignments in Kosovo, as well as Greece and Spain in support of NATO operations, and multiple duty tours in Afghanistan and Iraq. He has a Bachelor Degree in Business Administration from American Military University in 2016 and is completing his Master in Business Administration.